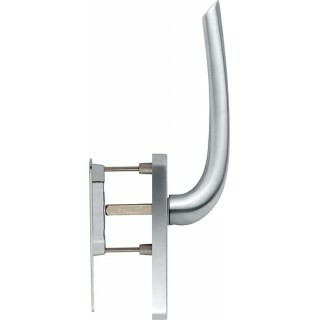 Lift slide window handle Hoppe Monte Carlo series on rectangular plate. The Monte Carlo lift slide handle is made of brass and steel. The mechanical structure is really durable and it is capable of lasting for a long time. Two color variants are available, one of them (F77-Resista / F52-Resista) is also suitable for outdoor use, and can also tolerate weather conditions.